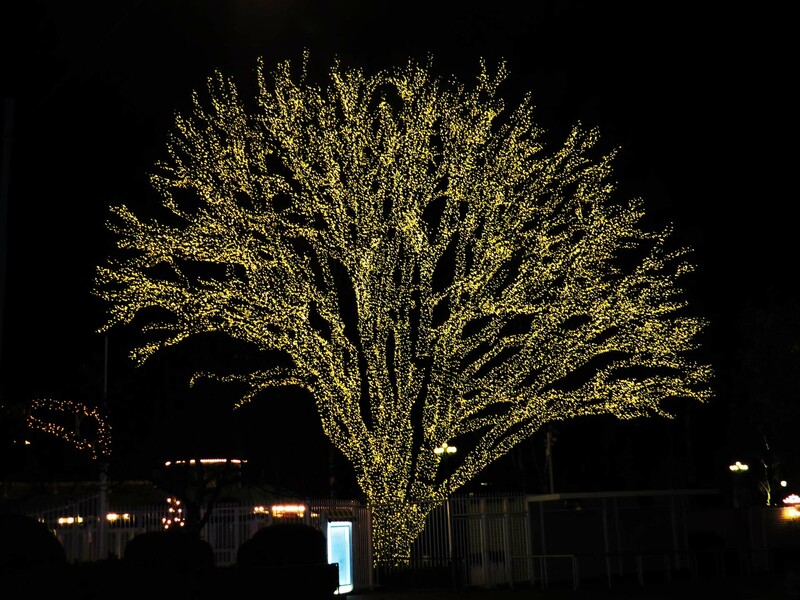 This tree all alight stands at the southern entrance to Gothenburg’s Liseberg amusement park. Or it did on 5th November 2014 when I took the picture. At the time I was working at a school a bit further south along the Mölndal road and passed this spot daily. Earlier in the year – in daylight – it was obviously a God-forsaken wasteland (I mean a parking lot). More or less empty as Liseberg shut for the season at the end of the summer. But the funfair opens again every Christmas, and in preparation the trees are decorated with lights and the lights lit. An enticement and a promise. Not just the trees. 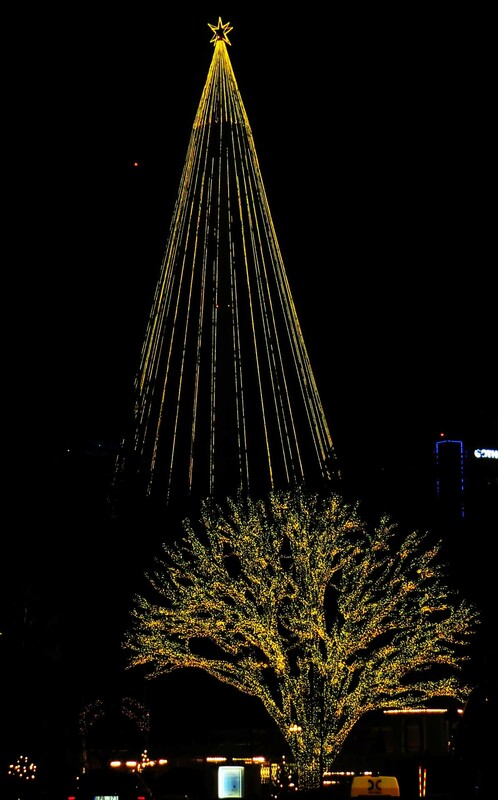 The tower up which thrill seekers are winched before being dropped in free-fall is also done up like a Christmas tree with a shining star at its peak. (See below.) You can see it across the city.